"I love Paris in the spring time" - the unforgettable lyrics written by Cole Porter are frequently the first thing that pop into someone's mind when they start planning a trip to France. But whether you're in Paris during the coldest days of winter or the sultriest days of summer, you'll be wowed by the gorgeous floral displays in the lobby of the Four Seasons Hotel George V.
The genius behind these spectacular floral creations is Jeff Leatham, a rock star of a florist who won the title "Best Hotel Florist in Europe" for three years in a row. 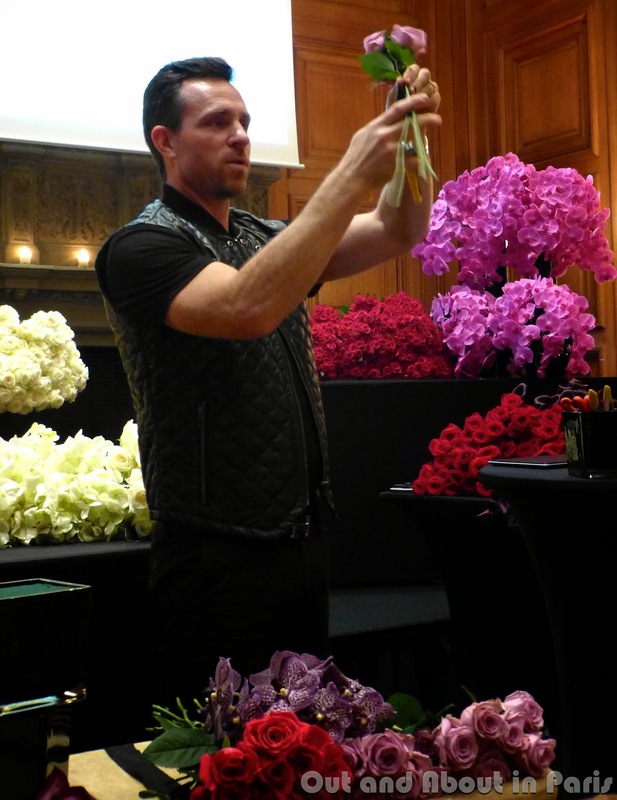 As a former model in Paris and Milan, Jeff never dreamed of working with flowers until he was blown away by the arrangements at the Four Seasons in LA. Since that momentous day nineteen years ago, the American florist has revolutionized the way that people think about flowers. Jeff's approach has been so successful that he frequently choreographs events outside the hotel, including the reopening party of the Museum of Modern Art in New York, Tina Turner's wedding in Zurich and Eva Longoria's wedding in Paris. He even appeared on Oprah Winfrey when the American talk show host invited him to be a guest on her television show about dream jobs in 2012. Now, she's a huge fan of his work. Excited by the opportunity to join one of the quarterly floral workshops that Jeff organizes for guests of the hotel, I was stunned by my first glimpse of the Salon Louis XIII. Enormous bunches of purple orchids, red roses and deep purple calla lilies decorated one side of the salon, while white calla lilies, cream-colored roses, massive bunches of baby's breath and Lily of the valley adorned the other side. The air was scented with the delicate aroma of hundreds of flowers and flickering candles. It was a magical sight to behold. After Jeff turned on the music and ensured that everyone had a glass of champagne, we got down to business. Following Jeff's instructions, we stuck the stems of our purple roses into an oasis. 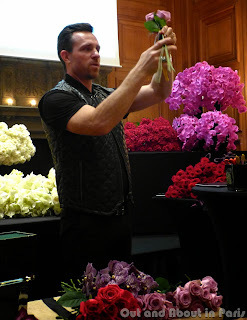 Next, he showed us how to position the Vanda orchids in the middle and to finish the arrangement with dark calla lilies. If it sounds easy, it's because it was. Jeff's helpful assistants cut the stems of the roses, showed me how to best place the flowers and even took a photo of me with my floral creation when I was finished. The only mishap occurred when I inadvertently knocked over my glass of champagne. Oops! And even that wasn't a problem because I had a new glass of bubbly to enjoy with the delectable pastries within seconds. Who knew that arranging flowers could be so much fun? 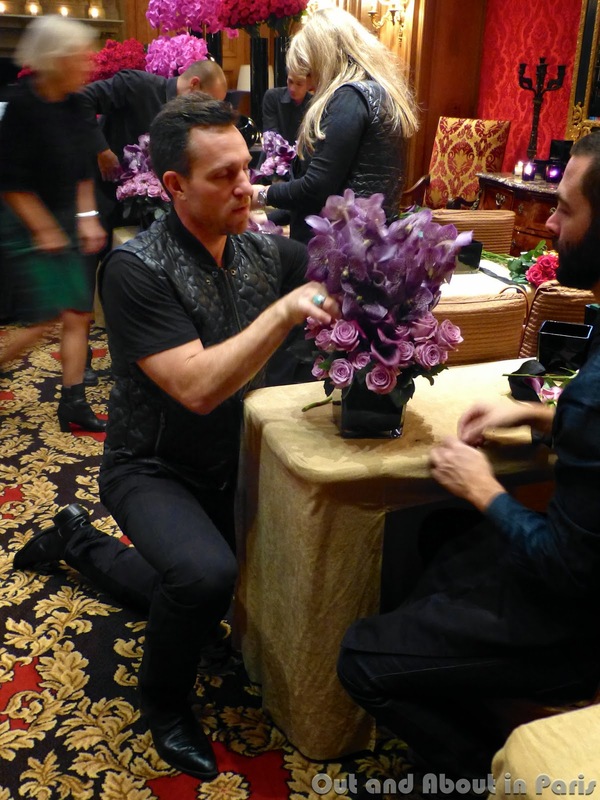 It's always a pleasure to be in the company of someone who loves their job and Jeff's enthusiasm for floral art is contagious. Thanks to an annual budget of 1.2 million euros and fresh flowers delivered from Holland three times a week, Jeff concocts a new theme for the Four Seasons Hotel George V every month. Whether it's fir trees frozen in ice for Christmas 2012 or 15,000 Naomi red roses surrounding a collection of Elie Saab dresses during Fashion Week, the results are always breathtakingly spectacular. I can't wait to see what Jeff does for Christmas 2013! Jeff Leatham's workshop is free of charge and open to all guests of the Four Seasons Hotel George V and the Michelin starred Le Cinq restaurant upon reservation with the concierge at + 33 (0)1 49 52 71 07. What a great activity - Out and About NEVER runs out of ideas! 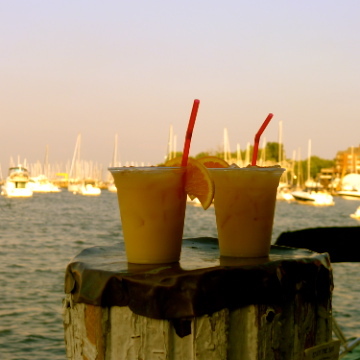 MK--how do you knock over a glass of champagne? I can't imagine it, not you! As for flowers, I'm tired of the monochrome look. I want many flowers and bunches of them, all mix and different. Monochrome is so early 2000, almost 20th century even. Goodness, I think my life would be better with more fresh flowers! This sounds like a blast! I'm definitely signing up for a workshop. Thank you so much for sharing.